Illuminate your home in mesmerizing blue this holiday season and experience the magic of brilliant LED lights. Our blue LED icicle lights are energy efficient, highly durable and able to withstand harsh weather conditions making them the ideal choice for a variety of lighting projects! Hang vivid blue icicle lights from your roof or across your outdoor gathering space to create a brilliant canopy of light at your next event! Very bright LEDs. They look perfect as part of my house decorations. Fast delivery and reasonably priced. Will last for years. The lights look so beautiful on our home that a neighbor stopped and took a picture of them! Purchasing more right now! These light work great. They are beautiful. I would suggest getting them to spice up your house at Christmas. The lights are so bright it that they can be seen from far away. The beautiful color looks great on our house. Great product. Love it! I love these blue LED icicle lights! My dad came over to help put them up so I could surprise my husband with them when he got home. He was surprised!! Also, they've been up for less than 24 hours, and even while putting them up, we were receiving compliments from neighbors and strangers! They are absolutely beautiful! I also ordered the icicle clips and they really up the display quality. Go with their recommendation of using one per icicle strand. It's worth the extra time. I also have their blue and white LED snowflake lights on our front porch. All together, it makes for a wonderful winter wonderland and is the prettiest house on the street! This was just the type of lights I was looking for. They are bright enough and appear to be durable. Looking forward to several trouble free seasons. Wow!! I can't believe how beautiful these lights are! Our neighbors are all saying that they are the best lights in neighborhood. Money well spent, I love them. I found these on line and I am so happy I did! I ordered them and they came very well packaged and very fast. In fact the weather has been so good that I decided to hang them early. Strings were packaged and wrapped very nice and came apart very easy and so nice to hang. I like that I can put up to 43 light sets together and not have all the extension cords. These lights are bright and very nice, I am really happy with these. Great price!! I looked all over for these and your had all 3 colors that I needed!! The lights looked spectacular and along with the Blue LED net lights I had on several trees and bushes around my home made for quite the display. I had compliments every time I was out and anyone passed. I would definitely recommend these lights for anyone in the market! The LED Christmas lights especially in that blue color looked almost surreal and made for a fantastic display. Cant wait to use at Christmas this year! I have bought these 2 years in a row and plan to buy more next year. I'm half way around the house at this point. They are a little pricey, but look very nice and have a very intense blue color.I combine these with the Shooting Start chasing icycles for a very nice effect. We love our Christmas lights. The color stands out like no other. I have always liked the look of icicle lights, so when my regular Christmas lights started burning out, I deceided to try the LED version. I could not believe how great they were. I thought that they would be a lot dimmer than traditional lights, but I was wrong. 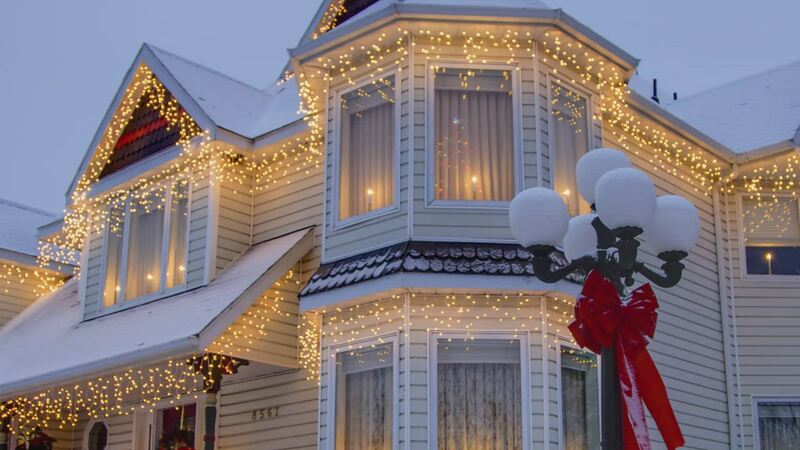 The light sets are even brighter than the traditional icicle lights. Am I happy? 100% and would (will) change over to LED's on the rest of my lights. VERY pleased with the light sets I ordered...The color and brightness was very satisfactory!!! !...I plan on ordering more for next year...VERY Happy with them...Thank You!!! !